When homeowners fall behind on their mortgage payments, lenders take action by filing a public default notice. Known as lis pendens or notice of default, this is the legal initiation of the foreclosure process. The borrower is served with the legal notice and the lender’s attorney files the documents in the appropriate court. From this point forward, the borrower is in the “pre-foreclosure” stage. The process of foreclosure can take just a few months or as long as a year or more in some states. If no steps are taken by the borrower to repay the defaulted loan, the end result is the same. The property will be sold at pubic auction to the highest bidder or in most cases, the lender repossesses the property and that “asset” becomes REO (real estate owned). Despite the grim circumstances, homeowners facing foreclosure have some very positive options they can take advantage of during the pre-foreclosure process. Provided there is equity, the borrower may be able to refinance, perhaps temporarily or permanently reducing the monthly payment and extending the loan over a longer period of time. But selling the house during the pre-foreclosure stage is usually the best option, and will prevent the borrower from facing years of damaged credit. 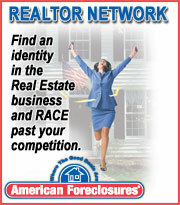 Buyers who work with pre-foreclosure sellers often find it a very rewarding experience. Not only can they purchase a property at a discount, but they’ll be helping a borrower maintain good credit and at the same time, save the lender from the time and expense of pursuing the foreclosure. In today’s market, many borrowers are “upside down,” meaning that they owe more to the lender than their home is worth. This is when a “short sale” can often be negotiated. Simply put, the buyer and the lender agree on a price that is less than the amount owed on the loan. The lender accepts that amount to consider the loan paid in full. Buying pre-foreclosures or short sales can be an incredibly lucrative investment. And real estate fortunes are created during slow economic times. Imagine owning rental property, with a positive cash flow every month, enabling you to accumulate more capital to buy even more property! The financial gains can be tremendous and will certainly create secure, long-term wealth.